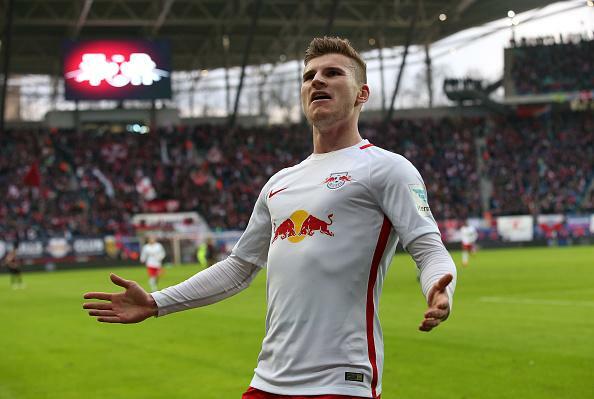 Arsenal Football club also showed interest to sign RB Leipzig’s Timo Werner, according to The Sun. The German goal scorer is said to cost in the region of £50m. Timo Werner has 16 goals in 29 appearances this season, adding to the 21 he scored last time out when finishing fourth in the Bundesliga scoring charts. Werner has already been linked with Chelsea, Manchester United and Liverpool in the past, and The Sun suggests that the Gunners are now ready to make a move. Arsenal is said to have sent scouts to watch Werner in action against Napoli on Thursday evening, with the 21-year-old – who has rejected the offer of a new deal at Leipzig – scoring in the 3-1 win.